Stainless steel stool | Polnet Sp. z o.o. Stainless steel AISI 304 seat Ø 32 cm.Height adjustable: 47-59 cm. Plastic base with feet. 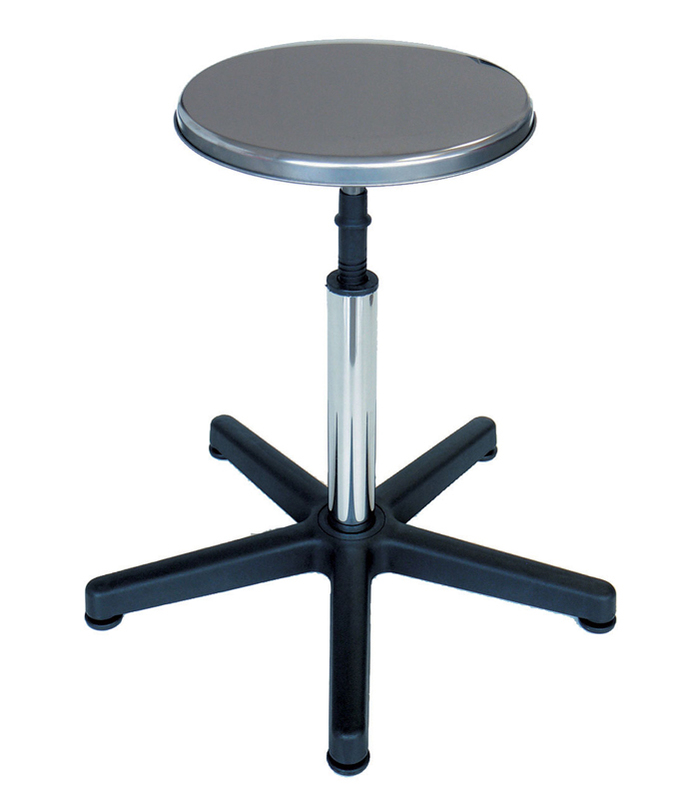 Stainless steel AISI 304 seat Ø 32 cm.Height adjustable: 51-63 cm. Plastic base with 5 castors.